My Top Favorite Beautiful Italian Leather Couches and Sofa Sets! *Are you looking for a beautiful Italian Leather Couch or Sofa Set for your Home? I hear you want to find a beautiful Italian leather couch for your home? Italian leather furniture is the most elegant, durable and stylish furniture in my opinion. When you invest in a beautiful Italian leather couch or sofa set, for example, you know it is an investment for a lifetime! *Why buy an Italian leather sofa set? -It will probably last for a lifetime or at least many decades! -It is very easy to clean and maintain! -It makes the room look extremely fancy! -It is a little bit cold to use it, specially during winter. 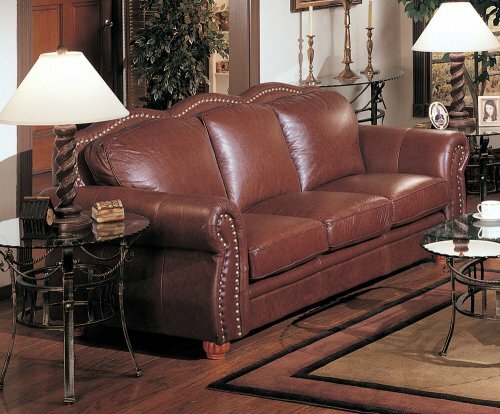 Overall the main reason people buy genuine Italian leather furniture is the durability factor. It’s nice to know you are getting something that will last for a very, very long time. First of all let’s start with the looks! This all-black Italian leather sectional couch is stunning! It has stainless steel legs, which are also very strong, and all the cushions have lumbar support, so you will feel extremely comfortable at all times! And last, the color black is always fancy and stylish! Gorgeous Espresso Italian Leather Sectional Sofa Set! Just by adding a beautiful Italian leather couch or sofa set in your living-room, you will transform the entire atmosphere and take it to a whole new level! This is a gorgeous, modern and very stylish beautiful espresso color top grain Italian leather sectional sofa SET that includes the gorgeous matching coffee table and the cool ottomans you see on the picture! It is the whole deal! 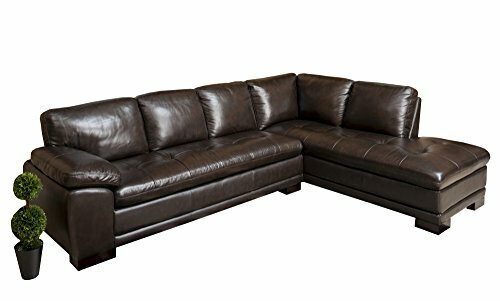 The Most Beautiful Italian Leather Couches and Sofa Sets for Sale! I am in white leather Heaven now! This is a stunning all-white Italian leather huge sectional sofa for sale! This thing will fit the whole family plus more! I LOVE white leather furniture as well! There is also a nice reversible dining tray armrest. 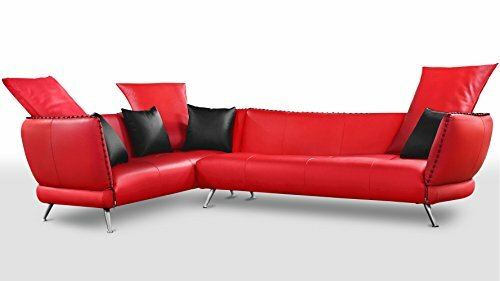 *How about a Bright RED Leather Sectional Sofa? How fabulous is this genuine Italian leather red sofa for sale? Talk about being bold in the living-room! The base is made of steel, so it’s also very strong! It is also extremely smooth and extra-comfortable! You can never go wrong with a beautiful dark brown leather sofa! It is very elegant and it goes well with anything! 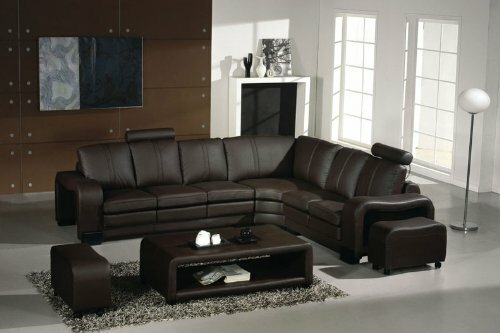 This is a classy and very chic premium Italian leather dark chocolate brown sectional sofa for sale. It has a nice size, but at the same time will fit a medium-sized living-room. 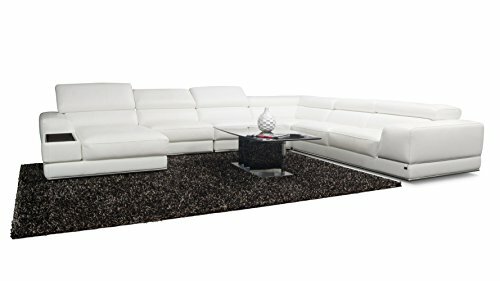 *Very Unique Ash Grey Full Top Grain Italian Leather Sectional Sofa! 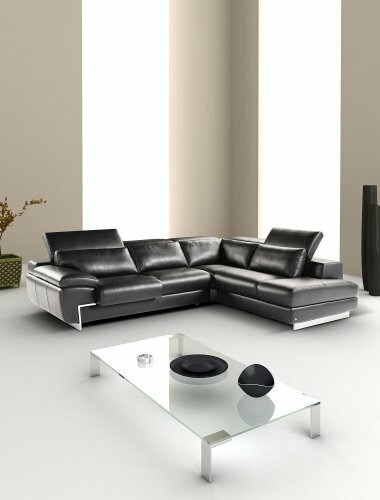 Of all Italian leather couches and sofa sets from this page this is probably the most unique one! How gorgeous is this ash grey color? It also helps brighten up the room!